Rolling Stone | Sizzle: When The Media Sizzles, You'll Find It Here! Some of us ARE happy with the way our shows ended, James/Dawson/new guy/whoever you are! Britney: We LOVE the Rolling Stone cover. Can’t wait to read the full story. OTH: Last night’s episode was PHENOMENAL, but, unfortunately, it’ll have to hold us over until January. And will it pick back up where it left off or will time have passed like in reality? Thankfully, Mark Schwahn gave one of his best interviews in a while and we’ll be analyzing it over and over again for at least the next month. OTH Pt. 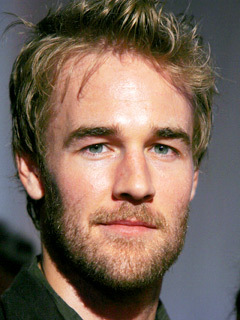 2: Was James Van Der Beek playing Dawson 5 years later or one of the shiteous directors Dawson faced when he went off to LA? Best line: “If there’s one thing I know, it’s that audiences get crazy over who ends up together.” You don’t say?! Gossip Girl: Not on last night but back next week. In the meantime, Kristin has some interesting scoop. She says the Lily and Rufus back-story might play out on the web. Would people actually tune in…er…log on for that? Mad Men: The suits are hoping the show’s popularity will increase with a musical revue. We don’t really see how those are related AT ALL. 24: The prequel scored higher than a lot of television shows do each week, but probably not high enough. Oh, the irony. Obama: Some say a new comedian will take over for Fred Armisen on SNL. SNL insists otherwise. But who else is there? Box Office: With everyone’s wallet a little tighter these days, we doubt early Wednesday, pre-Thanksgiving, openings are going to help films one bit. Sorry, Sean Penn, Nicole Kidman, Vince Vaughn and the rest of you who are hedging your bets. BSB: Guess someone was listening (reading?) when we said the entire group should’ve reunited on TRL last week. Chinese Democracy: Banned in China in more ways than one. STILL SIZZLING: Which former boy bander just designed a public bathroom for Times Square? Perhaps this is why he, too, was too busy to join his former bandmates at the TRL finale. Guess they won't be doing THAT anymore! Madonna: So it’s true. Their reps have released a joint statement. Divorce will proceed. Settlement not yet reached. What we want to know: so did she really have an affair with A-Rod? Rolling Stone: The over-sized mag is going on a diet. Starting with the Oct. 30th issue, the magazine will appear just like all the other glossy mags out there. They save money, we get more pages. Good for everyone? Janet Jackson: Her rep is saying the mysterious illness was a case of bad migraines. Um, okay. DWTS: Cloris Leachman, 82, is still in the competition. We still think this can only end badly. AMA: Among the nominees for the American Music Awards: Alicia Keys, Coldplay, Lil’ Wayne and Taylor Swift. Jimmy Kimmel will host for the 5th time. Guess people aren’t sick of him. Beyonce: Will be giving fans a multiple choice with her new album: a 17-track double disc or an 11-song version. Smart economical move?